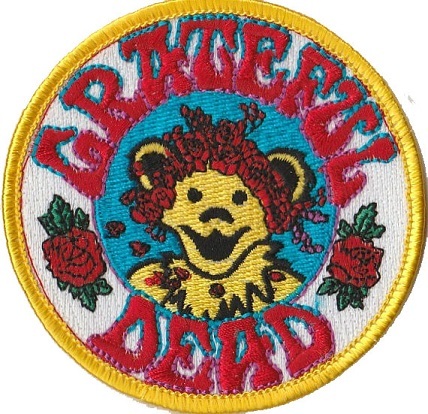 This Grateful Dead patch features a Jerry bear with roses in the center. It's an embroidered patch that can be ironed on or sewn on your favorite jacket, backpack, jeans, or purse and it measures approximately 3" round. Your favorite wearable will look even better with this Grateful Dead patch.